The answer lies in your ability to plan, communicate, get creative, and celebrate. One of the best gifts to give yourself this year is the luxury of time. It’s critical that you give yourself enough time to assess your needs, so you can make sure you have the available staff to deliver the service. If you wait until December 1 to start planning, it’s already too late. To create your holiday strategy, start with the end dates for specific deliverables and work backward. For instance, map out when payroll needs to be run, when billing needs to be processed, and when schedules need to be created. From there you can determine when documentation needs to be submitted or vacation requests turned in. Be sure to talk with clients about their plans, too. Which clients will be alone and which will be with family? This will impact the care that will need to be delivered during – and particularly on – the holidays. Also, consider all holidays celebrated during the season. This may or may not include Thanksgiving, Hanukah, and Christmas – but also possibly St. Nicholas Day, Boxing Day, or Epiphany. If a holiday might impact either your staff’s availability or your clients’ schedules, it needs to be on your radar. One of the keys to maintaining your sanity during the holidays will be to minimize surprises. And this means minimizing surprises for your staff and clients as well. As soon as you start thinking about your holiday plan, start communicating with everyone. In fact, embrace over-communication. Secure messaging can be very helpful with this, to ensure caregivers are informed of any changes in visit schedules or client care plans. Some Care Delivery Management solutions will also include secure broadcast messaging, where you can schedule key communications to be sent to all staff on a set schedule, for example, weekly or even daily. Another often-overlooked topic that should be part of your communication plan is self-care. The holidays can be stressful, and it’s important you and your staff take care of yourselves. For example, you may want to encourage all staff to get the flu shot, so they can stay healthy and prevent the spread of the flu to clients. You can even send stress reduction tips and reminders to exercise as part of your messaging strategy. Plan to be over-communicating for the six to seven weeks from mid-November at least through the end of December or even early January. In the ideal holiday scenario, the client’s regular care team is able to deliver the same level of care without disruption. In reality, staff have lives of their own. Not many caregivers will want to work a 12-hour shift on Christmas Day. The key is to think creatively about how you staff those tough time periods. For example, you could divide that 12-hour shift into three four-hour shifts. Or, you could use the opportunity to earn time and a half pay as an incentive. You should also look at your recruitment strategy. For instance, third-year nursing students have great skill sets, and they might be interested in working during their December school break. Keep in mind, hospitals will be sending patients home during the holidays, because that’s where they really want to be. This means you’re almost guaranteed to have an influx of last-minute referrals. Look at patterns and forecasts over the last few years, so you can be prepared for this year with a proactive staffing strategy. Last but not least, look for ways to incorporate the joy of the season for everyone in your organization. This includes caregivers, but also supervisors and schedulers. Delivering care is a 24/7 endeavor that’s tough on everyone during the holidays. Perhaps rather than requiring one supervisor to be on call for the weekend, everyone can take a few hours so there’s some true down time for your internal support staff. After all, they have families and friends they want to be with, too. The holidays also present a wonderful opportunity to recognize staff for their efforts. 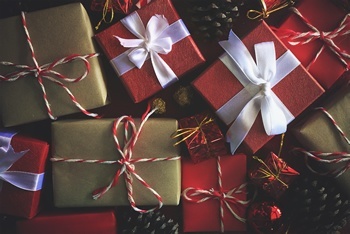 Some agencies reward staff with gifts based on the number of hours they work during the holiday season, ranging from a simple gift certificate to a more expensive iPad. This approach enables you to acknowledge each staff member’s relative effort and give back accordingly to those who are willing to do the most. And finally, remember that festive doesn’t have to be fancy. Your agency’s celebration might be as low-key as some sparkly decorations and a few holiday goodies on hand for anyone who is able to stop by. Since field staff might not be easily able to (or interested in) coming all the way into the office during these busy times, sometimes a simple acknowledgement of the season is enough to make people smile. Ultimately, that’s the goal: to make people happy, whether they’re your staff or your clients. By taking a proactive approach to navigating the busy holiday season, you’ll be well on your way to bringing glad tidings and good cheer to everyone.